Investing in property can be a tricky process, so we have devised top 10 tips for buying a buy to let property to help ! 1. Ensuring you are familiar with the pitfalls as well as the benefits is essential. Speak to people you may know who are already experienced buy-to-letters, and read guides on the subject such as our beginners guide to property investment. If you know someone who has invested in buy-to-let or let a property before, ask them about their experiences – warts and all. Before you think about looking around properties sit down with a pen and paper and write down the cost of houses you are looking at and the rent you are likely to get. The excitement of looking around houses can take over all too quickly. Put pen to paper before you view properties and write down the cost of the house and the likely rental yield. Buy to let lenders often require a deposit of between 15% and 30% and the rental income to cover 125% of the mortgage repayments. Some lenders may accept less but at the expense of a low interest rate. It is also important to have a contingency fund for when the property is not being rented and mortgage repayments must be met, as well as repairs which ought to be fixed quickly else your tenant will vote with their feet. Remember, this is an investment property – the head should always rule. Take your time to negotiate a good deal. By all means visit your high street bank for comparison but there are a wide range of finance options available for purchasing a buy to let property these days, including dedicated buy-to-let mortgage brokers to help you get the best deal. 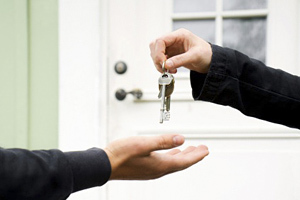 It pays to speak to a good independent broker when looking for a buy-to-let mortgage. They can not only talk you through what deals are available but they can also help you weigh up which one is right for you and whether to fix or track. Learn to love letting agents Yes, they are a class of their own but if you befriend them they can help you with research. Jokes aside, the best agents undoubtedly have unrivalled local market knowledge so use that to your advantage. Novices are often quick to see themselves living in their properties. Remember you are not the tenant and put yourself in their shoes. A student will require functional accommodation, easy transport to their campus, perhaps a range of local shops as they may not yet run a car. Young professionals may require something more stylish, perhaps in a location with access to night life and good links to road and rail. A family will need space and to be local to schools. Everyone has a budget when it comes to investing and buy-to-let is no different. Knowing what you have to play with can focus your search on an area where your budget can acquire the asset you need. Remember, you don’t have to offer the asking price. In strong markets it’s not easy but negotiation is part of acquiring the best investment you can. You are in a strong position as a buy-to-let investor being chain free. Vendors are often keen that what can be a lengthy transaction be as swift and smooth as possible. Discounts can be negotiated in order to generate a quick sale. Don’t ignore what could go wrong. How many months can you afford to pay the mortgage should the property sit empty for some months. Will you require your money out quickly? The property market has been strong for some time, if there were to be a drop in value could you ride it out? A simple rule of thumb is to factor in the property sitting empty for two months of the year to provide a buffer. If you are unable to cover the cost of a major repair not covered by insurance such as the heating system don’t invest yet.